The Romans is played as a farce, yet the the story lends itself to something that goes way beyond problematic. The actions of Nero is flat out criminal, and the Doctor's ambivalence to Nero's antics are damn near complicit. 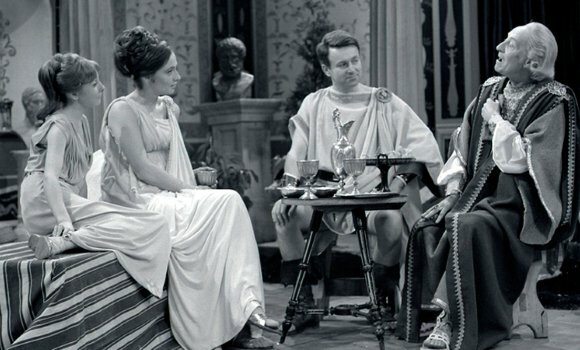 Despite the hard to watch scenes, like Barbara trying to escape sexual assault from Nero, which is played for laughs, the scenes between Vicky and the Doctor are quite delightful. Remember, Susan had just left during the Daleks' Invasion of Earth, so the Doctor really needed someone to humor him, and Vicky filled that role quite nicely.